FREE UPS Ground Shipping - excludes Alaska and Hawaii. Buy Factory Direct & Save! Rely on promotional Safety Wear from Promo Direct to spread your message! Safety apparel is perfect for joggers or bicycle riders. All of our safety apparel meets the ANSI/ISEA safety standards. Get your logo imprinted on the range of promotional safety wear featured here to get your logo noticed. 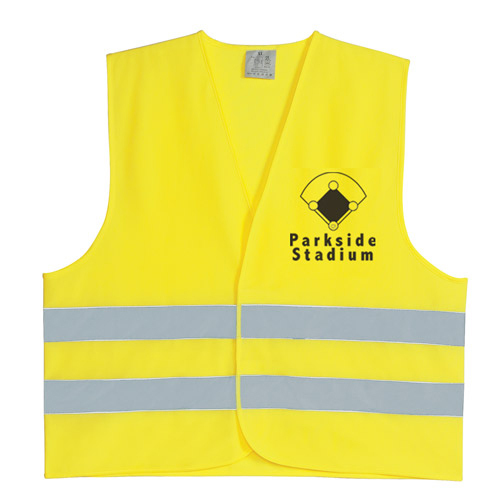 Our range of promotional safety wear seeks to serve a purpose. The reflective clothing will keep your employees safe when visibility is poor. Count on these shirts to get your brand noticed wherever they are used. Along with valuable visibility, you will also gain a lot of goodwill among the local community. It is important that apparel such as these meet safety standards. All the products featured on this page are high on quality and durability. You can count on them to serve your brand for a long, long time! Go ahead and choose a product of your choice. If you are confused, give us a call and we will help you choose the right product. As the #1 promotional product store of 2015, our goal is to ensure all customers have giveaways that are worthy enough to be distributed among their target audience. Get in touch with us today!